Gone are the days when women were thought of as no match for the powerful men in the business world. Indian women have come a long way from the times when their rightful place was only only seen as within the home. The new generation of women have overcome all of those negative notions and proved their mettle in all the arenas of life including the highly demanding and complex world of business. With the constant fight against gender stereotypes in the country, the women seem to be emerging victorious. The modern Indian woman is no longer solely a homemaker. She can rock the world of business with as much confidence as she rules the home. Take a look at these 3 women in business in India who are making waves. 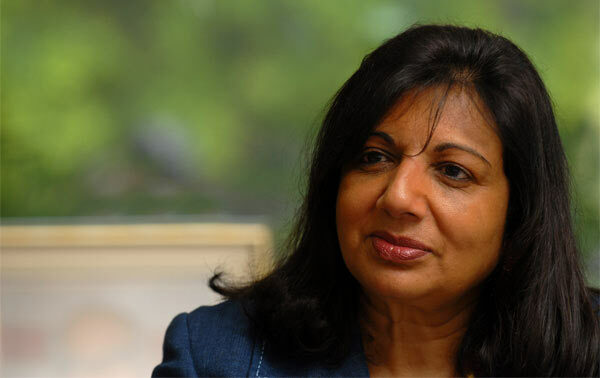 Kiran Mazumdar Shaw is the Chairman and Managing Director (CMD) of Biocon Limited. With a present net worth of over 350 crores USD, she has the distinction of being one of the richest self-made woman in India. She was born in the city of Bangalore and completed her graduation in Zoology from the Mount Carmel College of Bangalore University. She went on to do her post-graduation in Malting and Brewing from the Ballarat College of Melbourne University. Her first job was working as a trainee brewer at the Carlton & United Beverages. She switched her job after four years and joined Biocon Biochemicals Limited based in Ireland. Her journey towards being one of the leading women in business in India started when she founded Biocon in 1978. She began with only 10,000 INR as capital; lack of money was a huge hurtle. Also, no bank was ready to offer her a loan because biotechnology was still a foreign concept in India. Also unfamiliar? A female Indian entrepreneur! She even had difficult hiring people to work for her. Kiran did not let these obstacles stop her from reaching her goal, and Biocon went from being a company manufacturing industrial enzymes to a leading bio-pharmaceutical company focusing on diabetes and oncology. Kiran was honored with the prestigious Padma Shri in 1989 and the Padma Bhushan in 2005 by the government of India. Ekta Kapoor is widely lauded as the woman who changed the face of television business in India. When it comes to Balaji serials, whether you love or hate them, you cannot ignore their impact on Indian TV. Ekta Kapoor single-handedly got Balaji Telefilms to the household name it is in India today. The number of hit serials under the Balaji Banner far surpasses others in the same category. She is the absolute Queen Bee on the Indian soap opera scene. Her latest business in India is the video on demand channel ALTBalaji. Based on the buzz, it will likely be another massively successful initiative for this leader among women in business in India. With a current net worth of 13 million USD, this young TV star will continue to accomplish many things, we expect. The name of LimeRoad is not unfamiliar to any fashionista of the country. From looking for kurtis and sarees online to trendy western wear that have your heart, LimeRoad is the answer to all your fashion woes. The brain behind the brand is Suchi Mukherjee. She started the online shopping company in 2012 with her associates Ankush Mehra Manish Saksena, and Prashant Malik. She has the distinction of being chosen as 1 of 15 women worldwide for the ‘Rising Talents, high potential leaders under 40’ awards. Suchi has had a brilliant career. From eBay to Skype and Gumtree, companies she has worked with are dream jobs of many women in business. However, not of these job felt fulfilling to her as she always nurtured the dream of venturing out on her own. She came up with the concept for LimeRoad while flipping through a magazine in London. In this magazine, she found a gorgeous necklace made by a small store in Mumbai. She knew she couldn’t find that store in the city anytime soon. When she started working on building up the Limeroad business in India, she had a major realization. India was already a major manufacturer of lifestyle goods with over a 21% share in the market. The point was to tap into this market, making its boundless offerings easy to discover and afford by the modern Indian woman. Suchi has successfully done exactly that through her venture. Women in Business in India: Go Ladies Go! Next articleVirectin Reviews: Why Do People Use Dietary Supplements? Thank you for shedding light on what’s still an ongoing issue. I would also like to add to this that you’re absolutely correct, people with power can go untouched at times when it comes to them committing crime against women. But I feel, this is slowing going down and someday it’d be vanished. Women are raising their voice very efficiently now and they’re independent they don’t need any man to support them. They’re fighting their own battles which is an excellent sign. Thank you for sharing such positive, empowering words! I’m an Indian woman- not remotely belong to anywhere near the upper-class- living in India. I appreciate your concern for our struggle, which is real and gut-wrenching. However, the start-up eco-system for women in India is changing, albeit in a snail-pace and there are many taking part in it who are not neck-deep in priviledge. In case you’ve time and inclination, do give a visit to a site called “YourStory”- dedicated solely for entrepreneur related stories in India. I hope there you’ll find, exemplary Indian women (from diverse economic back-grounds) striving hard to change their lives and surroundings for betterment. You probably have seen India few years back, Now the situation has begun to change, not rapidly but indeed change has begun. Absolutely true. Women are becoming an inspiration in every sector now, be it business or be it law, be it media, be it anything. A very knowledgeable and an inspiring article. Never regret your comments – all opinions are welcome, so long as they are posted in a respectable tone and advance the conversation, which you have done. Great to see the comments back and forth here as they lend more light on how far we still have to go for gender parity in India and elsewhere. Thanks, Christy, for such a paean highlighting the success stories of women in Indian business. For a country of India’s size and diversity, where size equates to a population of 1.34 Bn people, half of which are women, and diversity making governance and success of any enterprise an increasingly complex task, the success of women in business needs to be lauded. Women also excel in several other spheres including politics, the various professions and services, and sports and games. There are women fighter pilots and commercial airline pilots. India commemorated the International Women’s Day by an all-women crew flying a Boeing passenger nonstop flight from Delhi to San Francisco. This is all wonderful to here. May women continue to have success as you share here, Raj. Success stories help keep us going! Thank you, Michael. Enjoy the weekend – it’s almost here! India is very complex. You have too many religious beliefs that prevent protecting women’s rights as they should be. You develop a very interesting and very useful article. Greetings. Thanks for being a part of the conversation here! Apart from the negativity in the comments, your article has the most positive sides of India. Yes Indian women Entrepreneur has contributed world wide and people have noticed it. Thanks for appreciating the inspiration behind the article. Wishing you a great day! Great to hear this feedback about these featured women in business in India! Glad you’re cheering on these businesswomen in India too!